Partner and CEO of PR Agency, DAG Communication, located in Milan, Italy. Elena has worked for several years as a journalist and consultant for some of the best Italian communication agencies. She began her career working primarily in Information Technology and Consumer Electronics sectors, while managing the communication of companies including Microsoft, Bull, Alcatel, Sony, Thomson Multimedia and Gruppo Hachette. 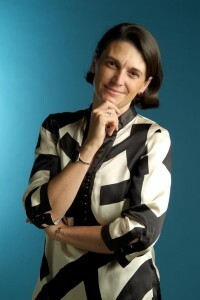 Following her career in these fields, Elena carried out enterprise communication activities as the Marketing Manager of Lacie, a french multinational IT company. Elena has continued to work in high level IT headings including Datamanager, Visrtual, Panorama Web, Newton and Le Scienze, and further advanced her management career as the Product Manager for Computer ResellerNews magazine. Currently, Elena manages Gingergeneration.it, Mktnews.it, DotHorse.it, DotTennis.it, and Dot Golf.it, while also being an active member in Assolombardia Technical Committee for Research and Innovation. 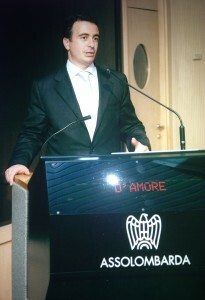 Partner and President of PR Agency in Italy, DAG Communication. Giorgio started his professional career as a journalist, contribuiting to headings such as Il Giornale, Il Corriere della Sera, and Antenna 3. He later decided to take a new course of action and focus on the world of communication. Working with some of the first Italian PR agencies, Giorgio began supervising customers including DHL, UPS, Bull, Microsoft, Alleanza Assicurazioni, Banca delle Marche and British American Racing. As a manager, Giorgio has contribuited to the start-up of two major Italian web realities: Jobcafe (www.jobcafe.it, currently Stepstone.it) and World Online Italia (www.wordonline.it, taken over by Tiscali). Moreover, Giorgio has been E-commerce Manager for Assotrade, one of the leaders in IT products distribution in Italy (now part of Gruppo Esprinet). Giorgio is currently President of Gruppo Giovani, Vice-President of Assolombardia, Advisor of Gruppo Comunicazione, Partner of ADICO (Commercial and Marketing Directors Italian Association) and AIAF (Financial Analysts Italian Association), all while also being an active member of the Communication Degree Course Advisory Commettee in Pavia’s University.